Bryan Thomas, No: 1 Tech Diver in Toronto, Canada. Bryan is a technical diving Instructor trainer, with a passion for diving and underwater archaeology. He started diving when he was 7 years old under the watchful eye of his father. It wasn't till he was 20 that he did his PADI open water course and got fully certified. 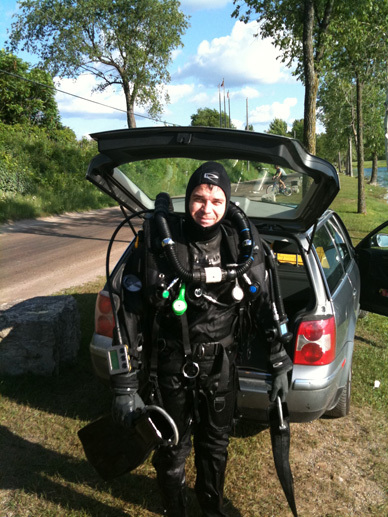 Bryan has been heavily involved with the dive community in Canada and USA since the early 2000s. He has managed dive shops, two in Canada and one in the US and worked in the film industry in over 250 shows (feature films, documentaries, commercials and even music video's). Cinderella Man, the Pacifier with Vin Diesel; TV show 1-800-MISSING; Disney’s Dark Water, The Man, with Samuel Jackson to name but a few. In Canada Bryan was a chapter chair of Save Ontario Shipwrecks (SOS) Ontario’s only marine heritage organization. 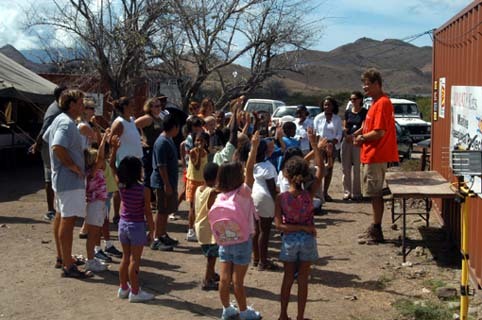 Bryan later became president of the organization and served 2 terms in that role. 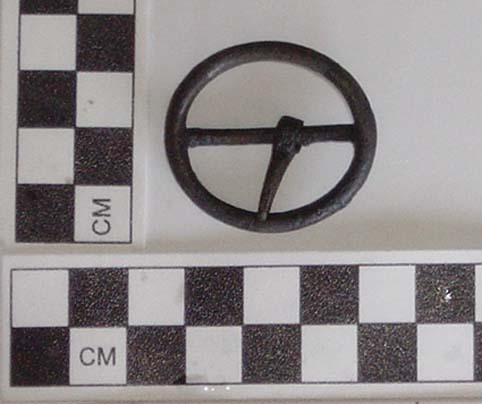 He also worked on archaeological surveys of a number of shipwrecks in Ontario and held archaeological licences from the Ministry of Culture. It was during that Presidency that he met Dr Simon Spooner who was in charge of all underwater cultural heritage and shipwrecks in Ontario, as the Marine Heritage Advisor for the Ministry of Culture of the Government of Ontario. In fact he was the first to meet Dr Spooner over a Canadian beer in Toronto when he came for his interview for the position. Dr Spooner wanted to discuss SOS with him but they only met in the evening after the interview due to time restrictions. Dr Spooner subsequently was appointed to the position and was responsible for a massive area, 158,000 sq miles of water, 250,000 lakes and over 100,000 km of rivers; and the entire Canadian side of the Great Lakes. This included the famous 1812 American warships the USS Hamilton and the USS Scourge which were gifted to the people of Canada in an unprecedented way and the modern Edmund Fitzgerald. 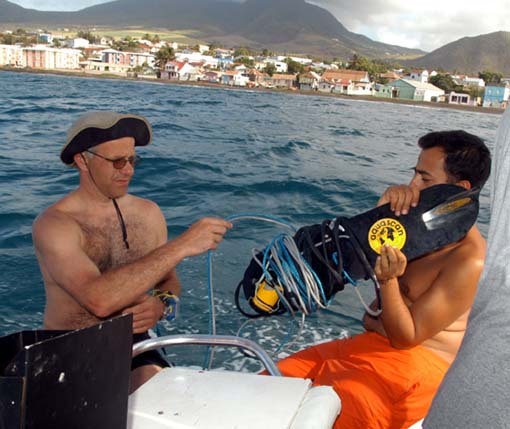 Bryan as a very experienced diver with SOS was always assisting Dr Spooner with plans and information about all the diving in the province and to that end, SOS was a great benefit to the Ministry. When Dr Spooner started running ADMAT Artefact Handling classes in his spare time in downtown Toronto whilst at the Ministry, Bryan was one of the first to take part and has remained close friends with him ever since. 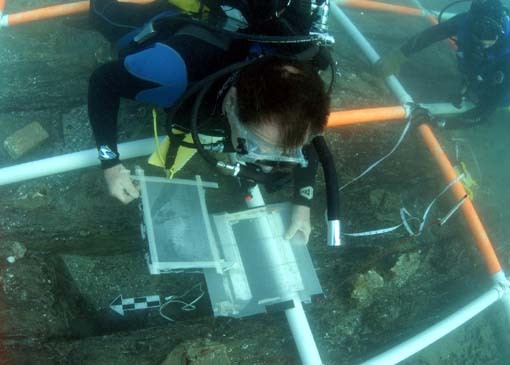 Bryan also became a Nautical Archaeological Society (NAS) Senior Tutor (instructor trainer) and has helped in over 25 projects for over a decade. Over the years he has amassed many diving instructor qualifications. He is a PADI Master Scuba Dive Trainer, Tech 40, 60 and 100 Close Circuit Rebreather instructor, IANTD Instructor Trainer, TDI/SDI instructor and Inspiration Vision Instructor. In 2018 Dr Spooner invited Bryan due to his extensive diving experience, to take part in ADMAT’s important Le Dragon maritime archaeological project as Assistant Project Leader, which was run for the month of July. Bryan will continue his good work as Assistant Project Leader for the 2019 maritime archaeological survey of Le Dragon. Bryan is married and now lives in sunny Florida, where he teaches all scuba courses from open water to full trimix both open-circuit scuba and closed-circuit rebreather. 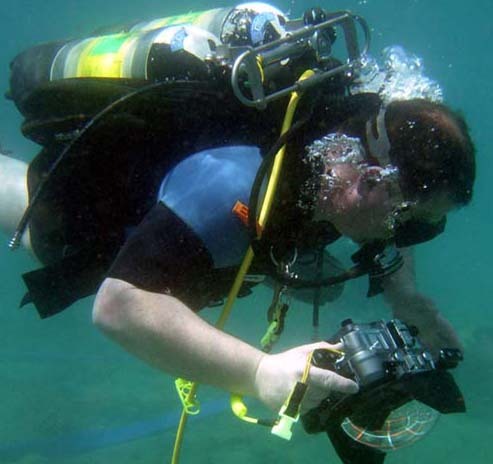 He currently works closely with dive agencies and manufactures to improve diving and to expose more people to this incredible sport, which he enjoys so much.